Peppermint (Mentha piperita) is a plant that yields a volatile oil -- known as menthol -- used for medicinal purposes as well as flavoring and aromatherapy. The aromatic, dark green plant has small purple flowers. It hails from Asia and Europe, but is also found in North America, South Africa, South America, and Australia. Peppermint can grow up to about three feet tall. Above all, peppermint is a popular flavoring. It's also used as a digestive aid, and for its calming and numbing properties. Peppermint has been used to kill types of bacteria, viruses, and fungus in test tubes. 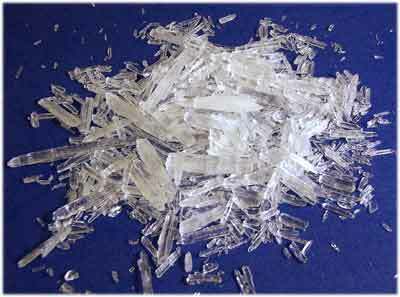 Several studies support its use for these purposes and more. Upset stomach, indigestion: peppermint capsules has been known to treat symptoms of irritable bowel syndrome, including bloating, gas, diarrhea, and stomach pain. Headache: applying peppermint tincture to the temples and forehead may reduce head pain. Peppermint essential oils improves blood pressure, respiratory rate, and exercise performance in young male students. Flavoring: peppermint is commonly used as a favoring in gum, toothpaste, and tea. Fragrance: aromatic peppermint oil is used in soap and cosmetics. Dose is dependent on the reason you're taking peppermint. Tea is used for treating indigestion or fatigue. Capsules are used for the treatment of IBS. Peppermint tincture can help ease headache pain. A topical ointment can be used for skin problems and bug bites. Tea: 1 tsp. dried peppermint leaves steeped in 1 cup boiling water for 10 minutes. Drink four to five times daily, between meals. Capsules: 1 to 2 capsules (0.2ml peppermint oil), two to three times per day. Tincture: 10% pepperint oil to 90% ethanol. Apply light coating to your forehead and allow solution to evaporate. Ointment: Menthol ointment with peppermint as the active ingredient. Apply to skin up to four time per day. Do not give peppermint to children. When applied to the face, peppermint oil can cause breathing problems. 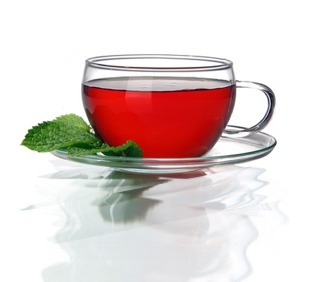 Peppermint tea can cause a burning sensation in a child's mouth. When directed by your pediatrician, older children can take 1mL to 2mL peppermint glycerite per day for digestion and upset stomach. Cyclosporine Used by patients with organ transplants, peppermint may intensify medication side effects. Antacids Take coated peppermint oil products at least two hours before antacids. Diabetes medications Peppermint may reduce blood sugar, potentially causing hypoglycemia. Blood pressure medications Peppermint may reduce blood pressure as well, possibly causing dangerously low BP. 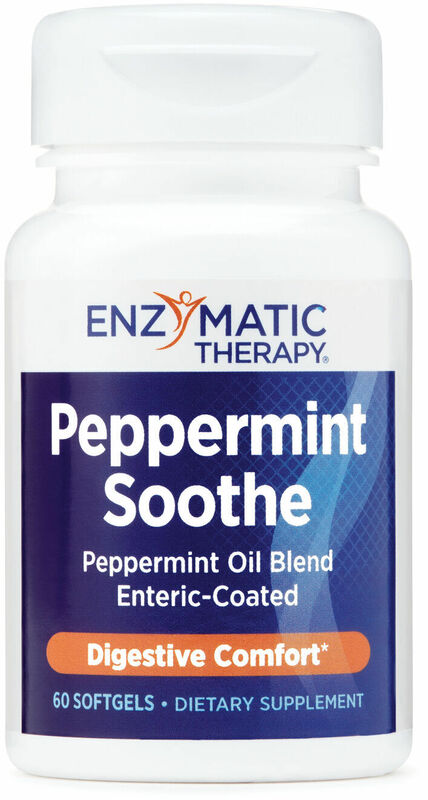 Medications that reduce stomach acids Take coated peppermint oil products at least two hours before these medications. Peppermint can be prepared as a tea, tincture, capsule, cream, and ointment. Relaxing the colon during exams, such as a barium enema. Peppermint consumed from food is generally safe. Peppermint oil for medicinal purposes and applied to the skin is generally safe if used in recommended amounts. Peppermint leaf should only be used for up to eight weeks. Peppermint side effects include heartburn, headache, flushing, and mouth sores. 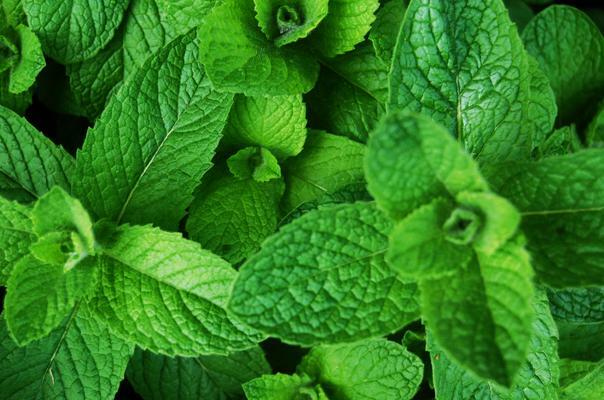 Menthol or peppermint oil may cause skin rash. Peppermint found in food is generally considered safe for women who are pregnant or breastfeeding. Do not take large medicinal doses, though. Taking large amounts of peppermint could be toxic. Never ingest menthol -- it is poisonous. Do not take enteric-coated peppermint oil if you have stomach problems (particularly if your stomach is not producing hydrochloric acid) without first consulting your doctor. Do not take enteric-coated peppermint oil if you have diarrhea. Do not take peppermint if you have gastroesophageal reflux disease (GERD). This includes peppermint tea. Supplements are not strictly regulated by the government. There is no guarantee that they are safe or will do what they are supposed to do. Tell your healthcare team about all the medications, supplements, and herbs you are taking. Sign up for future Peppermint news! Click the button below to sign up for future Peppermint news, deals, coupons, and reviews! Sign up for future Peppermint deals and coupons! Click the button below to sign up for future Peppermint deals, news, and coupons! Subscribe for more Peppermint news and alerts! Subscribe to PricePlow on YouTube or click the button below to sign up for our latest Peppermint news and reviews!